Anyone that owned these titles on the original Xbox and still has the disc to hand will be able to play them directly from the disc in their Xbox One console. However, they'll also be available to purchase from the digital store front. Of all the current generation consoles on the market right now, Microsoft’s Xbox One is by far the most impressive when it comes to its commitment to backwards compatibility. At the moment there’s an extensive list of Xbox 360 games that can be played on the Xbox One and while that’s continuing to grow, Microsoft announced plans to add original Xbox games into the mix at E3 earlier this year. Microsoft hasn’t been forthcoming with details on exactly which original Xbox titles will be coming to Xbox One – at the moment we only know about Crimson Skies and Fuzion Frenzy. However, in a recent interview with GameSpot, Xbox head Phil Spencer did say we’d see the first of the batch released before the end of the year. “I have a little dashboard I go to and I can see all the games [and] where they are in getting approvals in the pipeline,” he continued. There’s plenty of interest in original Xbox games coming to the latest consoles and although Spencer says that some of the games hold up better than others, we imagine the memories and nostalgia will more than make up for anything lacking in the visuals. Though we still don’t have an exact date for when this backwards compatibility extension will go live, we imagine Microsoft will wait until after the launch of the Xbox One X on November 7. Some time between this new console launch and Christmas would, arguably, make the most sense for the company. 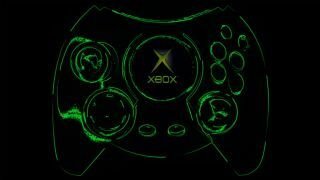 We imagine original Xbox games coming to the Xbox One would tie in very neatly with the release of the revamped Duke controller which was also announced at E3 this year. Though this controller doesn’t have an exact release date, either, it’s also scheduled for before the end of 2017.